Are the Germans just trying to spook the bond market?A pair of contradictory statements coming out of Germany today has us scratching our head. First we had reports from Chancellor Angela Merkel’s main spokesman spokesman, Ulrich Wilhelm, that seemed to be urging that any bailout shoud come from the IMF. He said that “we haven’t ruled out IMF financial assistance,” according to the AP. Dow Jones said that Ulrich also told reporters that because Greece hasn’t requested aid from Germany or the European Union, there’s no basis for making a decision. 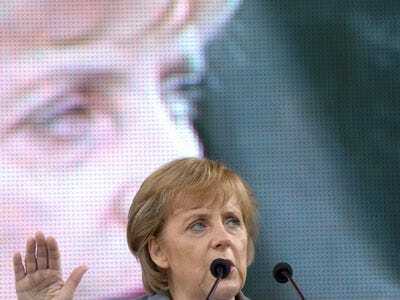 But his counterpart in the German finance ministry seemed to down play the possibility for an IMF led bailout. Your guess is as good as ours as to what the heck is going on.